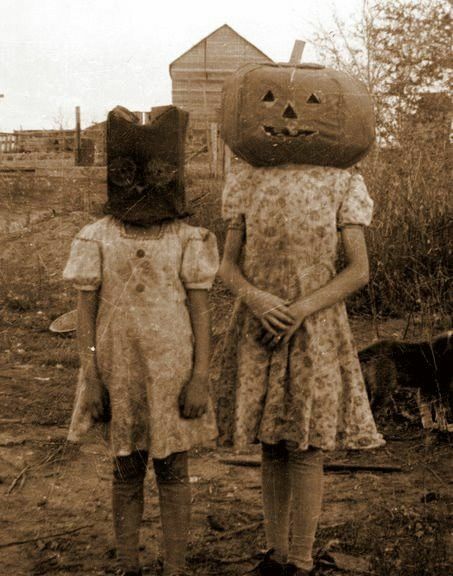 Also, here is some righteous and creepy things and Ideas for October! 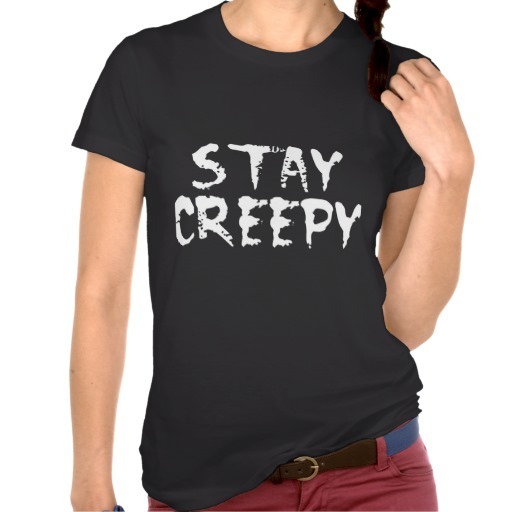 Stay Creepy Tee, its $45 dollars online, so I am just gonna get my own little black tee and some white paint and rock this shirt in October! 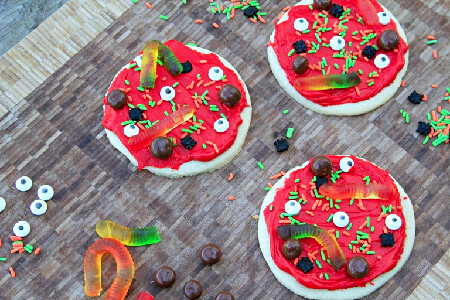 If your child is having a Halloween party or some friends over, why not let them make creepy pizza cookies! For more fun Halloween costumes and decorating ideas, click here for the link to my Halloween post from last year. 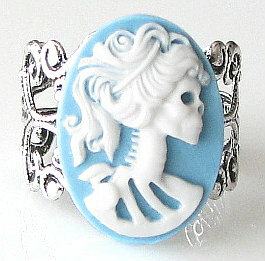 Don’t forget to subscribe,comment, and visit my Etsy shop for some vintage goodies!